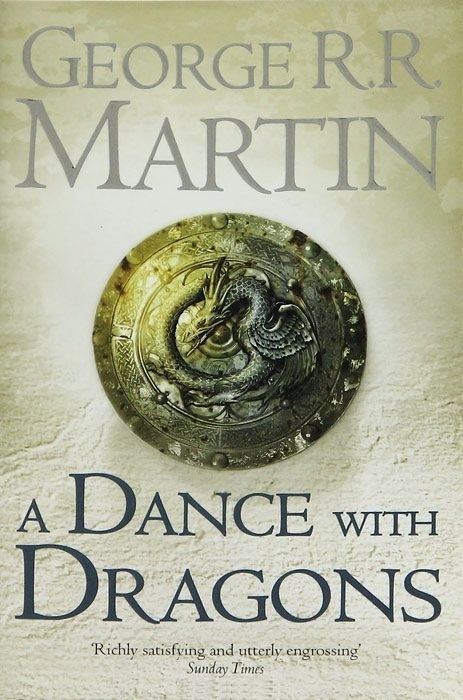 Книга "A Dance with Dragons"
Характеристики книги "A Dance with Dragons"
In the aftermath of a colossal battle, the future of the Seven Kingdoms hangs in the balance once again-beset by newly emerging threats from every direction. In the east, Daenerys Targaryen, the last scion of House Targaryen, rules with her three dragons as queen of a city built on dust and death. But Daenerys has three times three thousand enemies, and many have set out to find her. Yet, as they gather, one young man embarks upon his own quest for the queen, with an entirely different goal in mind. To the north lies the mammoth Wall of ice and stone-a structure only as strong as those guarding it. There, Jon Snow, 998th Lord Commander of the Night's Watch, will face his greatest challenge yet. For he has powerful foes not only within the Watch but also beyond, in the land of the creatures of ice. Dubbed "the American Tolkien" by Time magazine, George R. R. Martin has earned international acclaim for his monumental cycle of epic fantasy. Now the #1 New York Times bestselling author delivers the fifth book in his spellbinding landmark series-as both familiar faces and surprising new forces vie for a foothold in a fragmented empire. Book 5 in the «A Song of Ice and Fire» series. Разделы, в которых можно купить "A Dance with Dragons"